Enter your email address and we will notify you when this Infant Size is available again. 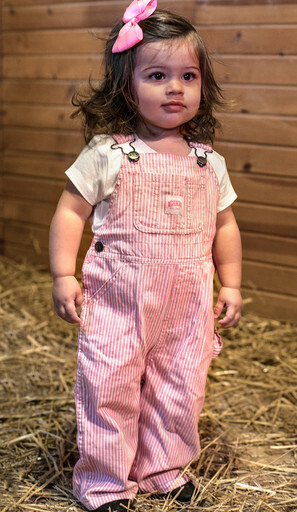 Pass on the tradition of KEY Bib Overalls to the next generation with the Premium Infant Bib Overall. KEY offers a variety of colors for boys and girls that are all washed to add comfort and a soft touch. Button closures at the waist, hooking shoulder straps and hidden gripper inseam closures allow for easy on, easy off. Your baby will be the center of attention while wearing KEY bibs! So, get the little ones ready for the great outdoors or just keeping their little shirts tucked in with KEY'S Infant Overalls! They are tough, yet soft with a washed finish. And for ease of diaper changing - a snap crotch!